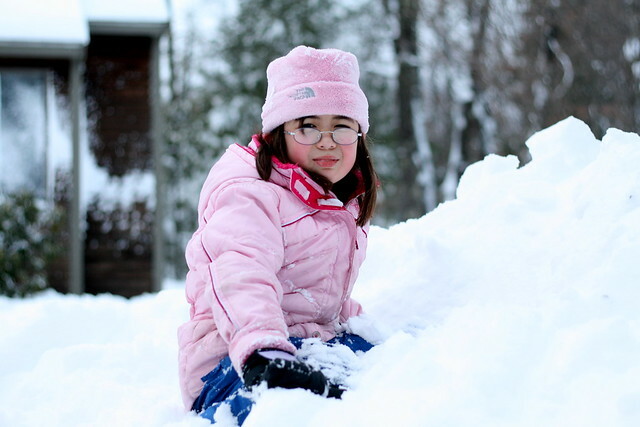 While the South and Midwest have been getting hammered in snow all winter, our kids have been waiting patiently for their first snow day in Massachusetts. Of course, there was no snow day at for me work despite the 18"+ of snow that we got, so I only got to photograph them after work yesterday. Dova was in a fine mood as usual. 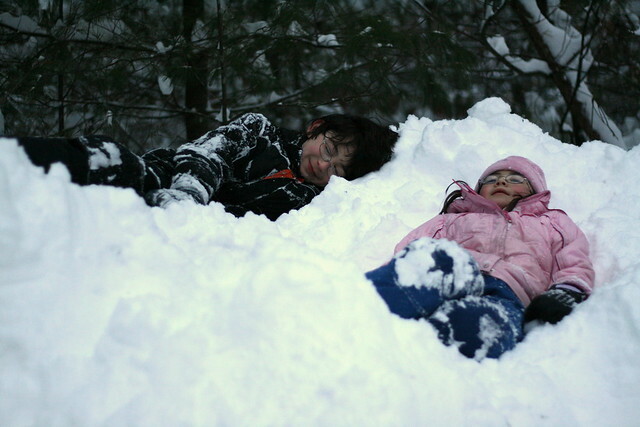 High up in the snow banks, the kids made "snow beds" to sleep in. 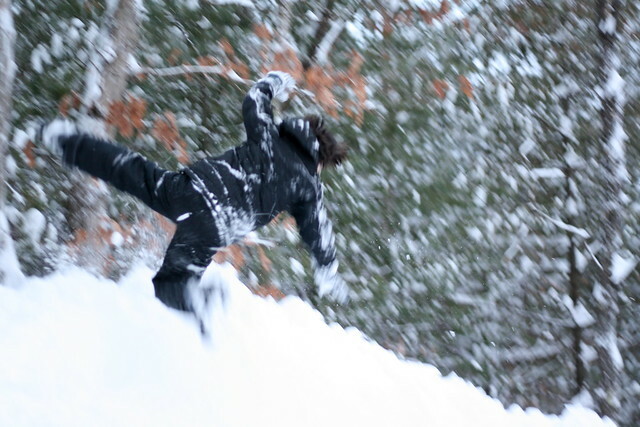 The light was fading fast and I never got my camera quite set up for those famous jumping in the snow shots. 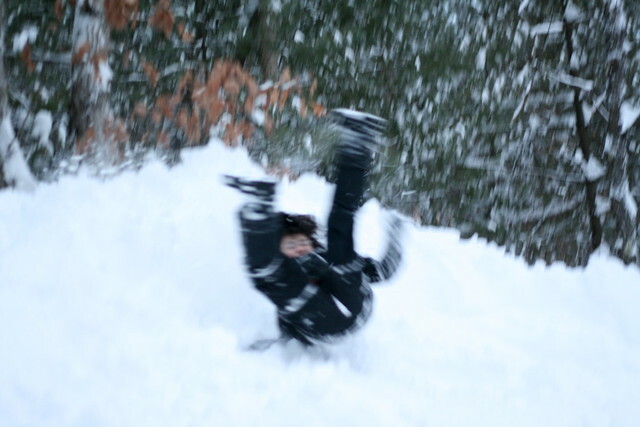 Instead I got this crazy, blurry flurry of arms and legs. Love it anyway! Gorgeous photos, I loved it. I did it 45 years ago in Grand forks, North Dakota, lying on the snow bed which was more than 40 inches of snow! WOW! We may have gotten snow a couple of times, but nothing like that!!! You probably wouldn't even consider what we've gotten as "snow". Wowza, that looks fun!!! Oh to be a kid again!